It was a green bow. A bright velvet hair ornament perfectly suited for the holiday, well chosen to compliment her outfit. But it almost ruined my afternoon. New York is a colorful time during the Christmas season. It’s a great time to see the magnificent tree at Rockefeller Center and the store windows decorated for the holidays. 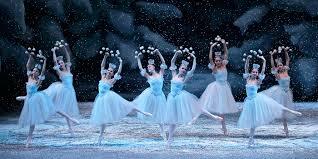 For out of town grandchildren it is the perfect time to treat them them to The Nutcracker Ballet at Lincoln Center. Tschiakovsky’s music never sounded more beautiful, the costumes never looked more 18th century, nor the children performers so talentedly charming. We were shown to our seats as if we were royal visitors and sat down just as the overture was beginning. I looked expectantly toward the stage and my line of vision swooped right onto…a green thing sticking up in the air? A grown woman adorned with a bow in her hair? A bow that was interrupting my sight of the stage? It wasn’t a hat that I could be ask her to remove, or a high and wide hair style about which to bemoan, but a wide bow with starched tips to resemble angel wings: straight up and stiffly in place. 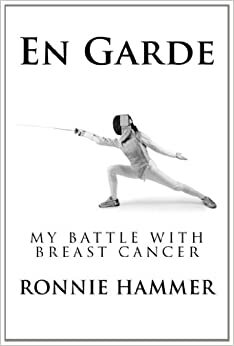 I could move my head to the side, getting an instant crick in the neck, sit on my coat, causing the ballet lover behind me to look at my head for two hours instead of the performance, or to concentrate on the the left side of the stage for whatever dancing I could catch sight of there. It was quite discouraging and disappointing, but in a live performance you cannot simply move your seat elsewhere, as is an option in a movie theater. And you can’t pull closer to the stage, as is possible on your home television set. And then, much to my delight and her posture’s gloom, she slouched. The grown woman with the green velvet bow slumped down in her chair, affording me an unblocked view of the unfolding story and beautiful dance performance. Her spine might suffer from a lifelong slumping habit but my eyesight will joyfully record the highlights of the ballet that is synonymous with the Christmas season. Good to hear that her bad posture turned out to be your good fortune. All the best for a happy, healthy New Year! Thanks, Fransi; my father had an expression, “One man’s meat is another one’s poison.” I suppose her slouch was her poison and my meat. Glad this all turned out well, Ronnie. Big hair, distracting hats and bows should be banned t public performances and movies. 🙂 I’ve seen our family perform the Nutcracker Suite. My granddaughter, grandson, daughter and her husband all had a role. It was delightful, but someday I’d love to see this done professionally. How exciting that must have ben to see the family star in the ballet; no professional company could be as exciting! OH: you meant it would have been worse having Kobe Bryant sitting in her seat in front of me… See how easy it is to be misunderstood? That’s how rumors get started! Glad she wasn’t an obstacle throughout the performance–it would’ve been a totally frustrating experience. I also appreciate your gentility during your moment of inconveniece; some people would’ve reacted harshly, causing an awkward pause in the live performance. Happy Christmas and may the New Year bring you success and love. Ps–sorry for the mix up in my previous comment. It’s always good to hear from you, Uzo. I wish you a healthy and successful 2014. I look forward to reading more of your stories. Her poor posture saved the day! So I did it? Eek, gads, Celi; sometimes I don’t realize my own power! Thanks, Jake. And thank you for commenting. Sometimes when you are being a kind grandmother, things just happen in your favor. I’m really trying hard to figure out why a grown woman would be wearing a large green bow in her hair. May you have a wonderful Christmas and may 2014 be the best year yet. Yes, Bev; some people don’t want to grow up.They must think that if they don’t notice, the rest of he world won’t, either. Thus the large bow in an adult woman’s hair. Are you sure she was alive? I’m lucky if I’m sure that I’M alive ! Maybe she ‘felt’ you. In any case, it turned out well, I trust? Thanks, Bela, it was one of those “all’s well that ends well” kind of afternoons. Happy holidays to you. And to you, Ronnie! Aloha. You are the only person who ever says aloha to me; I love it! Actually, as I first heard the story from one of the Grand Kids, the woman fell asleep during the performance and slipped down into her chair, or was I thinking of Sleeping Beauty?? Or were YOU sleeping, beauty? Thanks, Dor; it was a treat that I wouldn’t have undertaken if not for the excuse of grandchildren visiting from another state. A very happy holiday and New Year to you! 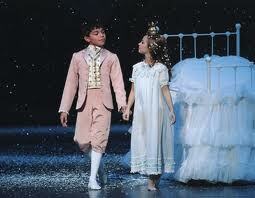 So glad fate intervened and didn’t spoil The Nutcracker. Very difficult when seated behind someone who is tall, wears hats and bows, etc, and how to tactfully ask to remove them? Great post. And what adult wears a large hair bow? Really? Exactly! What adult wars a large hair bow indeed! She must still be reading Seventeen magazine. Always great to read your writing, Ronnie. Thanks for this wonderful post, and I hope your holiday is a beautiful one. Thank you, Ann. I wish you a happy holiday too. Shall we make it a good movie and Chinese food after?